We investigated effects of different doses of a new preparation comenic acid as a modulator of the transmission of signals from an opioid receptor to slow sodium channels on the hypothalamic rewarding system in male Wistar rats. Comenic acid has been shown to inhibit the reaction of the hypothalamic self-stimulation (SS) in a dose-dependent fashion with the strongest effect at doses of 28,8 - 30 mg/kg. We observed a decrease in the rate of lever-pressings , induced by the threshold for SS current intensity, and an increase in the threshold for the response of SS, or its cessation. The similar suppressing effect of the preparation was found at its repeated injections. Thus, those results showed that comenic acid failed in both activation of the rewarding system of the lateral hypothalamus and adaptation to it. Буров Ю.В., Борисенко С.А. Особенности влияния нейротропных веществ на реакцию самостимуляции на гипоталамическом уровне // Бюл. эксперим. биологии и медицины. – 1976. – 81. – С. 43 – 45. Вальдман А.В., Бабаян Э.А., Звартау Э.Э. Психофармакологические и медикоправовые аспекты токсикоманий. – М.: Медицина, 1988. – 288 с.
Звартау Э.Э. Влияние хронического введения морфина на систему «награды» у крыс // Фармакология и токсикология. – 1978, 3. – С. 529 – 535. Звартау Э.Э. Действие налоксона на эмоционально-позитивные и антиноцицептивные эффекты стимуляции гипоталамуса у крыс // Бюл. эксперим. биологии и медицины. – 1979. – 88, № 11. – С. 43 – 45. Звартау Э.Э., Паткина Н.А. Мотивационные компоненты и самостимуляция при поведенческих реакциях, вызванных электрической стимуляцией гипоталамуса// Журн. высш. нервн. деятельности. – 1974, № 3. – С. 529 – 535. Казаков В.Н., Панова Т.И., Крылов Б.В., Панов Ю.Е. 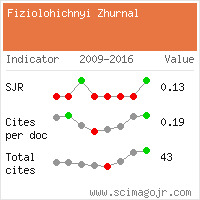 Субстанция Q-134 купирует абстинентный синдром // Нейрофизиологи/Neurophisiology. – 2003. Крылов Б.В., Дербенёв А.В., Подзорова С.А. и др. Морфин уменьшает чувствительность к потенциалу медленных натриевых каналов // Рос. физиол. журн. им. И.М. Сеченова. – 1999. – 85, № 2. – С. 225 – 236. Шабанов П.Д., Штакельберг О.Ю. Наркомании. Патопсихология, клиника, реабилитация. – С-Пб: Лань, 2001. – 460 с. 9. Barr A.M., Brotto L.A., Phillips A.G. Chronic corticosterone enhances the rewarding effect of hypothalamic self-stimulation in rats // Brain Res. – 2000. – 875, № 1 – 2. – Р. 196 – 201. 10. Bespalov A., Lebedev A., Panchenko G., Zvartau E. Effects of abused drugs on thresholds and breaking points of intracranial self-stimulation in rats // Eur. Neuropsychopharmacol. – 1999. – 9, № 5. – Р. 377 – 383. Carlezon W.A., Wise R.A. Morphine-induced potentiation of brain stimulation reward is enhanced by MK-801 // Brain Res. – 1993. – 620, № 2. – Р. 339 – 342. Diotte M., Miguelez M., Miliaressis E., Bielajew C. Interactions between rewarding lateral hypothalamic and aversive nucleus reticularis gigantocellularis stimulation // Behav. Brain Res. – 2000. – 116, № 2. – Р. 149 – 156. Hatcher J.P., Hagan J.J. The effects of dopamine D3/ D2 receptor agonists on intracranial self stimulation in the rat // Psychopharmacology (Berl). – 1998. – 140, № 4. –Р. 405 – 410. Konkle A.T., Kubelka S.L., Bielajew C. The effects of cholecystokinin on stimulation-induced feeding and self-stimulation // Behav. Brain Res. – 2000. – 107, № 1 – 2. – Р. 145 – 152. Knapp C.M., Kornetsky C. Low-dose apomorphine attenuates morphine-induced enhancement of brain stimulation reward // Pharmacol. Biochem. Behav. – 1996. 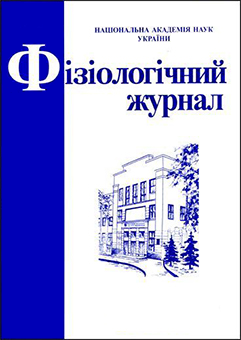 – 55, № 1. – Р. 87 – 91. Lorens S.A. Influence of morphine on lateral hypothalamic self-stimulation in the rat // Psychopharmacologia (Berl.). – 1973. – 32. – Р. 271 – 277. Olds J., Milner P. Positive reinforcement produced by electrical stimulation of the septal area and other regions of the rat brain // J. Comp. Physiol. Psychol. – 1954. – 47. – Р. 419 – 427. Panchenko G.N., Lebedev A.A., Shabanov P.D. Comparison of the effects of dopamine agonists on selfstimulation of the hypothalamus with lesioning of mesolimbic brain structures in rats reared in conditions of social isolation // Neurosci. Behav. Physiol. – 1998. – 28, № 2. – Р. 130 – 135. 19. Paterson N.E., Myers C., Markou A. Effects of repeated withdrawal from continuous amphetamine administration on brain reward function in rats // Psychopharmacology (Berl). – 2000. – 152, № 4. – Р. 440 – 446. 20. Pavlova I.V. Linked spike activity of rabbit neocortex neurons during self-stimulation of the lateral hypothalamus // Neurosci. Behav. Physiol. – 2001. – 31, № 3. – Р. 275 – 281. Pellegrino L.J., Pellegrino A.S., Cushman L.J. A stereotaxic atlas of the rat brain. – New-York. – London: Plenum. Press. – 1979. Rada P.V., Mark G.P., Yeomans J.J., Hoebel B.G. Acetylcholine release in ventral tegmental area by hypothalamic self-stimulation, eating, and drinking // Pharmacol. Biochem. Behav. – 2000. – 65, № 3. – Р. 375 – 379. Saitoh Y., Inokuchi K. A triphasic curve characterizes the retention of lever-pressing behavior rewarded by lateral hypothalamic stimulation during the immediate-posttrial period in rats: implications for a transient-intermediate stage between short- and long-term memory // Neurosci. Res. – 2000. – 37, № 3. – Р. 211 – 219. Sundstrom J.M., Hall F.S., Stellar J.R., Waugh E.J. Effects of isolation-rearing on intracranial self-stimulation reward of the lateral hypothalamus: baseline assessment and drug challenges // Life Sci. – 2002. – 70, № 23. – Р. 2799 – 2810. Touzani K., Velley L. Electrical self-stimulation in the central amygdaloid nucleus after ibotenic acid lesion of the lateral hypothalamus // Behav. Brain Res. – 1998. – 90, № 2. – Р. 115 – 124. Zimmermann P., Privou C., Huston J.P. Differential sensitivity of the caudal and rostral nucleus accumbens to the rewarding effects of a H1-histaminergic receptor blocker as measured with place-preference and self-stimulation behavior // Neuroscience. – 1999. – 94, № 1. – Р. 93 – 103.